When college football starts back up, that is my cue to start prepping for Halloween. This gives me almost a month to figure out how I am going to decorate both the inside and outside of my home. This year is a little different from the rest because I am on a tight budget. Who knew twins would be so expensive? 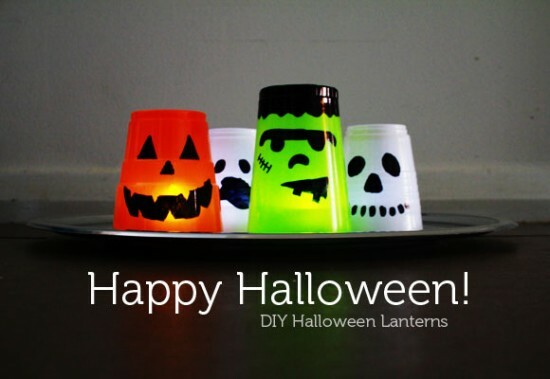 I ran into this cute luminary idea using Solo cups at The Australian Baby Blog. Tracey uses three different color cups to create four different Halloween images. Very cute! To save a little money on this project, you can purchase off brand plastic cups that look similar to a Solo cup at your local dollar store. Unfortunately, they have a limited number of colors available. As for the LED tea lights, they are available in the dollar section of Target. If you do not want to use plastic cups for your luminaries, I have also seen them made out of paper lunch sacks, painted jars or cans and even milk jugs! I think I will be making a set of both plastic cup and paper lunch sack luminaries for my home. I cannot wait to get started!